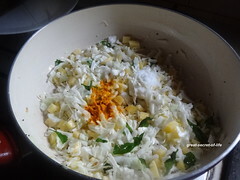 My mum used to do this but she does it as a side dish for rice. But till now I didn't know the other name for it. One of my colleague used to bring for his chapathi. 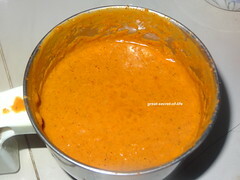 I love it as it is a little spicy and easy to pack as it is a semi dry gravy. Recently my husband wants to have cabbage in his diet more often.. 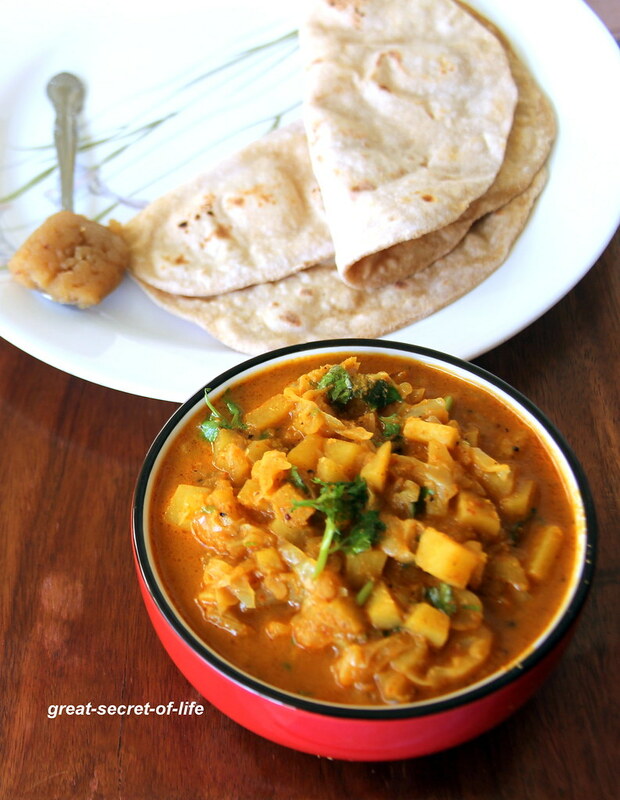 So I wanted to try this for our chapati / roti. 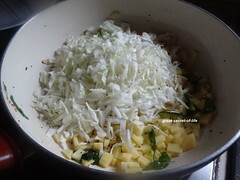 This goes well with rice too..
Slice the cabbage. Peel the skin of potato and chop finely and leave it in water till you need it. 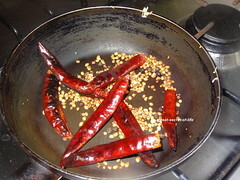 Dry roast Pepper corn, Dry chillies, Cumin seeds, Coriander seeds. Keep it aside. 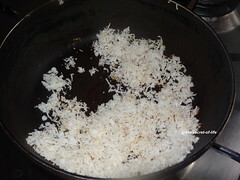 Dry roast Coconut also. 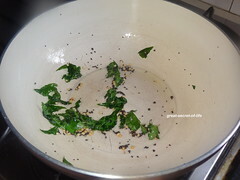 Heat the oil in a pan. Add mustard seeds. Let it pop. 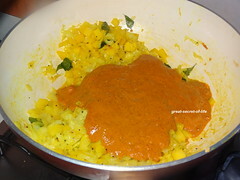 Add urad dhal and curry leaves. 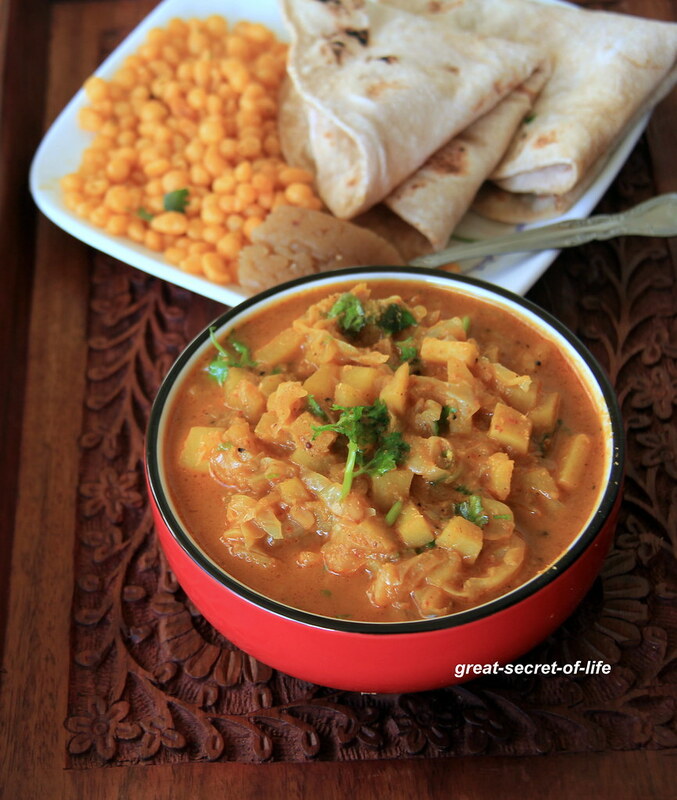 Fry till dhal is brown. 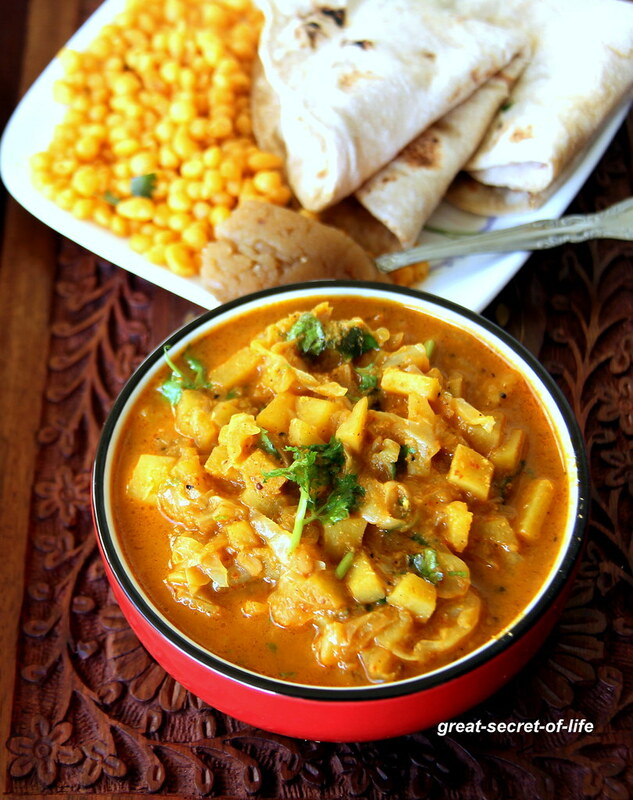 Delicious curry veena. I love your Bittergourd pesto pasta too.